We still have until March 2019 to wait for Captain Marvel to swoop into cinemas, but this hasn’t stopped Marvel fans freaking out over the first intriguing details. 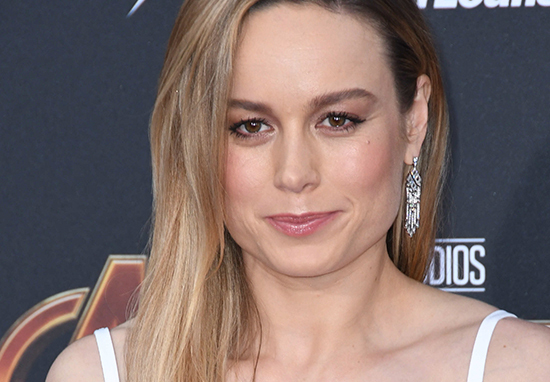 Brie Larson – who is all set to star as Captain Marvel/Carol Danvers – has finally spoken out about the hotly anticipated film which will bring yet another legend of the Marvel comics universe to the silver screen. With extensive experience of playing strong and capable characters – most notably in Room and Scott Pilgrim Vs. The World IMHO – Brie is perfectly suited to portraying the gutsy, awe-inspiring Carol. She can’t help but be herself. She can be aggressive, and she can have a temper, and she can be a little invasive and in your face. She’s also quick to jump to things, which makes her amazing in battle because she’s the first one out there and doesn’t always wait for orders. But the [not] waiting for orders is, to some, a character flaw. Brie also offered a first look at her superhero costume, which looks amazing. Before this first look, we knew precious little about Captain Marvel, a film which was teased during the end credits of mega-hit Avengers: Infinity War. We have also seen a couple of pics from set, including one from Brie herself who hinted over Instagram that filming had wrapped up as of July 8. What is one of the coolest things about it is she will be by far the most powerful character we’ve ever introduced in the movie. ‘How do you find those limitations? How do you find those vulnerabilities?’ is something that is sort of at the crux of the story that we’re putting together. She has — as you know from the comics — an interesting story, and I think we have a very cool and unique way of telling that story. I don’t think it’s leaked yet exactly what we’re doing with her movie or how we’re doing it, but it will be cool. She will prove to be a very important character in our universe for all the movies. You can watch Brie star as Captain Marvel for yourself from March 8 next year. This will be closely followed by Avengers 4 on May 3. 2018 has been a superb year for edge-of-your-seat superhero movies with creative scripts and compelling acting. However, could 2019 prove to be even better?